In Jordan you can experience a multitude of different scenery in one day. 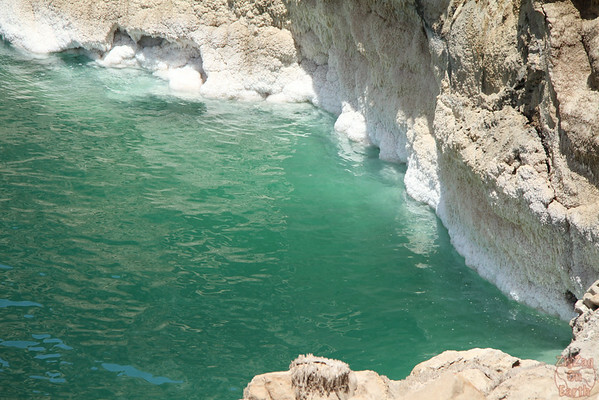 For example you can travel from the red and white desert of Wadi Rum to the white salt and blue waters of the Dead Sea. What a contrast! 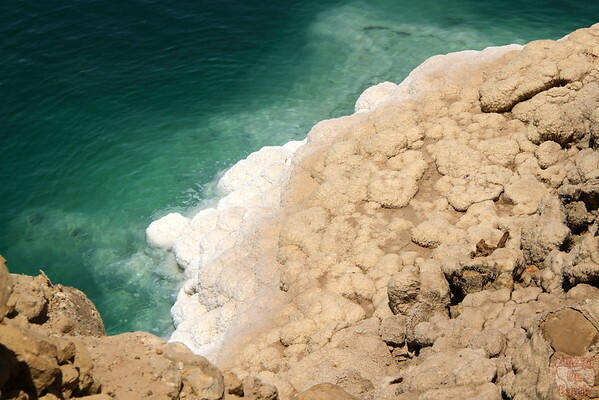 The Dead Sea name is derived from the fact that the water is very salty and thus cannot sustain marine life. 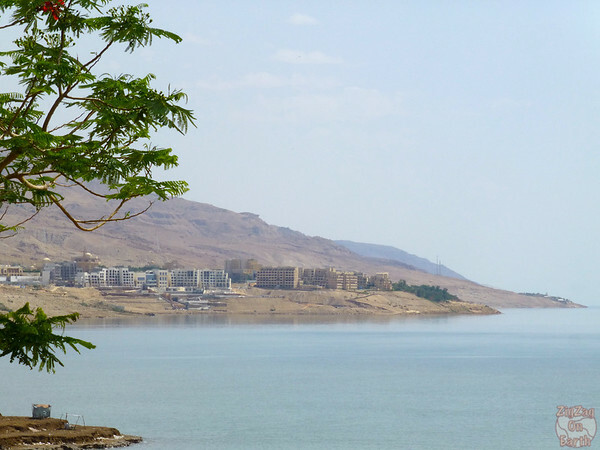 The sea is sourced from the Jordan river and has no outlet stream, and it is shrinking due to the high evaporation rate. 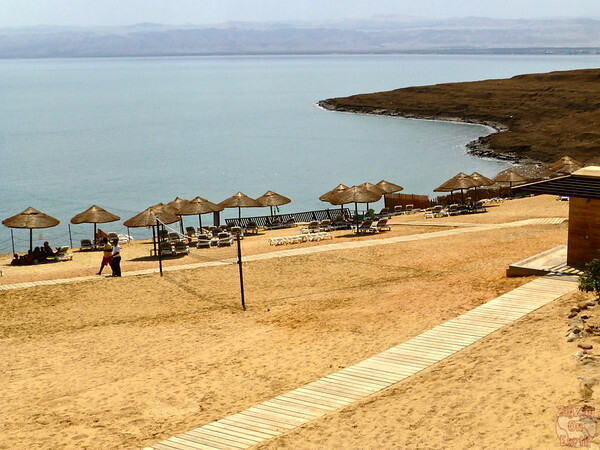 Various activities happen around the Dead sea for every taste: religious site, Dead Sea Panoramic Complex, Dead Sea Museum, outdoor reserve of Mujib, or you can enjoy one f the many mud bath. For more information visit the Jordan Tourism Board website - I am sorry that I cannot share about those, as I spent the afternoon in my hotel sick. After the dunes and mountains of Wadi Rum, I had a big change of scenery. 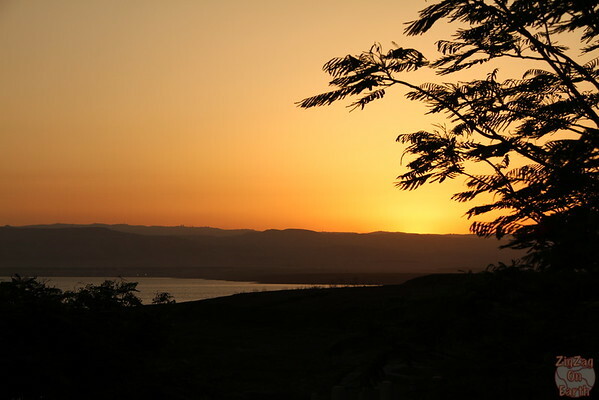 We drove in the direction of Aqaba and then along the border with Israel to the Dead Sea. I really wanted to see some salt formations and asked my driver if he knew of any place to see them well (because during my hours of research on the Internet, I ended up with only a place with also mud pool). When there are no beaches, the coast of the lake is steep and it is extremely hard to get close to those formations. So he stopped for me along the road (going north, first third of the road, just before the entrance to the Mujib Reserve if I remember correctly). I could not get down but could get a good look from above at the salt formations. 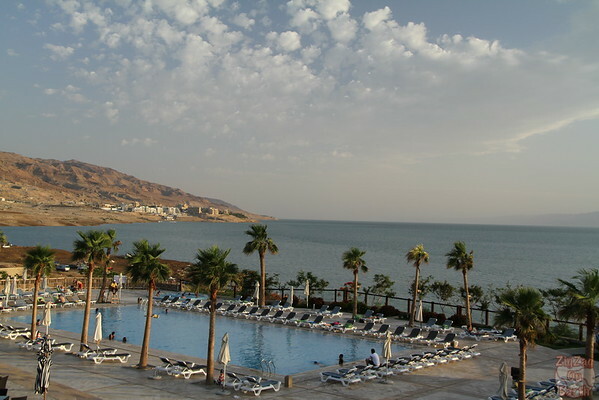 Although the crazy planner that I am had researched all the things I could do during my afternoon at the Dead Sea, I ended up staying at the hotel. I was so tired from the sickness I could not do any of the sites close by or any trail in the Mujib Reserve. 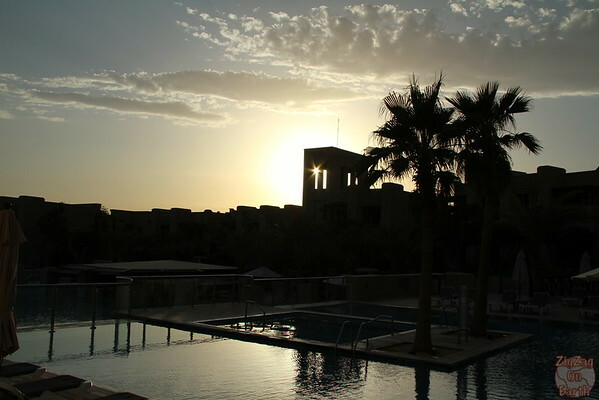 So I simply spent a few minutes floating in the Dead Sea and then kind of slept in the shade near the pool. Some people find it really amazing but I was personnaly not blown away by the experience. It is funny but that’s it. Furthermore I was really disturbed by all the littering. The beach of the hotel was clean but there were stuff floating in the water and on the other side of the wall to separate the beach it was disgusting. I saw the guard on the beach pick up something that arrived on the hotel beach and simply throw it on the other side of the "wall" !!!!! It kind of kills the charm. 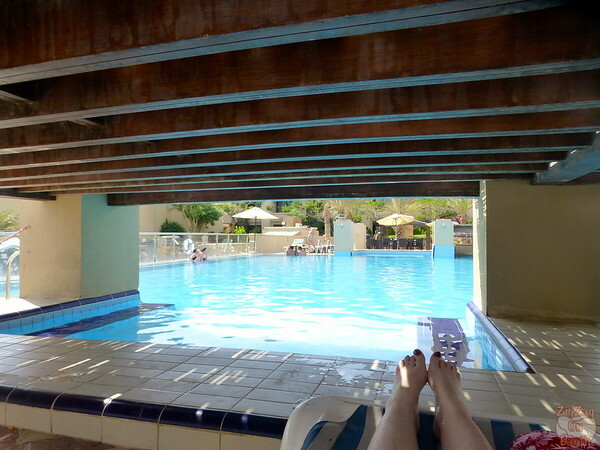 As I was sick I spent most of my time in the room or in the shade next to the pool. Therefore I am sorry and I cannot share about the many things you can do in the are. It was definitively not my favorite stops of the trip. But finishing with a relaxing afternoon around water was nice. And this is a very unique place on Earth so for those who like to tick things on checklists, this is a place to visit. Is floating in the Dead Sea on you to-experience list?